A wide range of devices could be yours. Finding the right laptop for work or business isn’t necessarily about opting for the nicest graphics cards (although those don’t hurt), or the most exuberant storage setup, or an industrious eight-core processor. It’s more about having a machine that can go with you wherever you need to be, can endure an entire flight on a single charge and — most importantly — doesn’t stop working when you need it most. The laptops outlined below cover all these bases and more, giving you strong hardware with a function-first approach. Why you should buy this: It’s the most powerful 15-inch business-oriented laptop on the market. Who’s it for: Any business professional who needs speed to go with great support and durability. Few laptop lines are as iconic as the ThinkPad. If you spend most of your time in a conference room rather than a coffeehouse, then chances are you’re going to give some thought to picking up one ThinkPad or another. 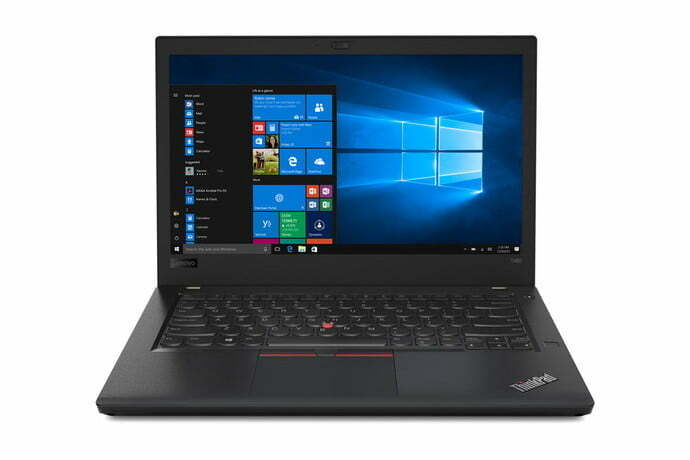 The best of those is the Lenovo ThinkPad X1 Extreme, a 15.6-inch laptop that offers the best mainstream components with the usual ThinkPad aesthetic, build quality, and support. Prior to the X1 Extreme, the ThinkPad line depended on smaller laptops like the 14-inch ThinkPad X1 Carbon to compete against larger business-class laptops. But the ThinkPad X1 Extreme changed that equation, bringing an 8th-generation, six-core Intel Core i7-8750H and Nvidia GeForce GTX 1050 Ti with Max Q, to compete with the Dell XPS 15 and other mainstream laptops. Toss in the ThinkPad line’s MIL-STD 810G certification promising superior durability, a gorgeous 4K display with high dynamic range (HDR), dual-storage options, enterprise-oriented service and support, and security options like the ThinkShutter webcam screen; that’s a laptop that’s perfect for the most demanding business buyers. Why you should buy this: It crams the power of a desktop workstation into a surprisingly portable package. Who’s it for: Anyone who needs massive number-crunching and visualization power on the go. 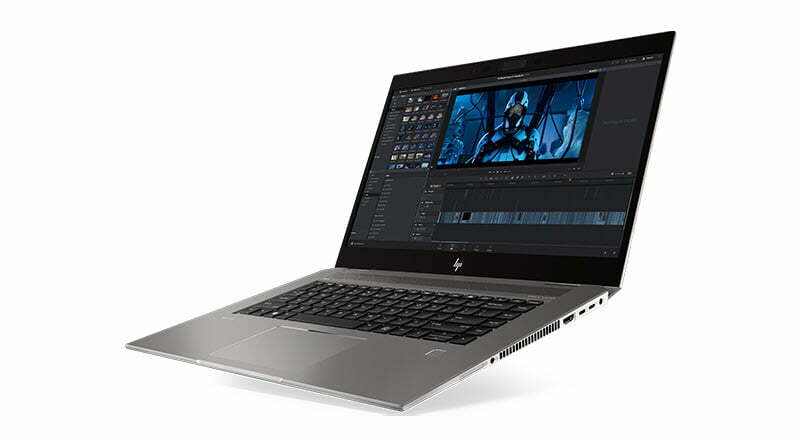 If you edit 4K video, design buildings, and use 3D modelling to develop products, then you need more processor and video power than you’ll find in your typical laptop. Chances are, you have a workstation desktop sitting in your office and you need something almost as powerful to take on the road. That’s where portable workstations come in, and the HP ZBook Studio is one of the best. It all starts with a choice of true workstation-class components, including Intel Xeon processors and Nvidia Quadro graphics. These are optimized for applications like Adobe’s suite of creative apps, Revit, Navisworks, and Enscape for architects, and AutoCAD and Solidworks for engineers. Also, HP offers a 4K DreamColor display that’s incredibly bright at 600 nits and offers 100 percent Adobe RGB coverage and true 10-bit color. All that is packed into a chassis that’s relatively light at 4.4 pounds and thin at 0.74 inches. That’s plenty of highly portable power, and given its high-end components, the ZBook Studio is reasonably priced as well. Why you should buy this: It’s one of the smallest 13-inch laptops you can buy, and one of our favorite all-round laptops. Who’s it for: Anyone who needs the full power of a modern laptop but doesn’t want to be weighed down. Dell’s XPS 13 isn’t exactly a “business-class” laptop, but Dell is no stranger to equipping enterprises. And if you’re looking for the smallest and lightest laptop you can carry around without sacrificing too much power or compatibility, the XPS 13 remains among our top choices. The 2019 version is nearly perfect, with the last-generation’s poor webcam placement fixed without compromising the XPS 13’s tiny bezels. It’s not the class leader in screen-to-body ratio, but the XPS 13 remains the best if that’s your most important spec. 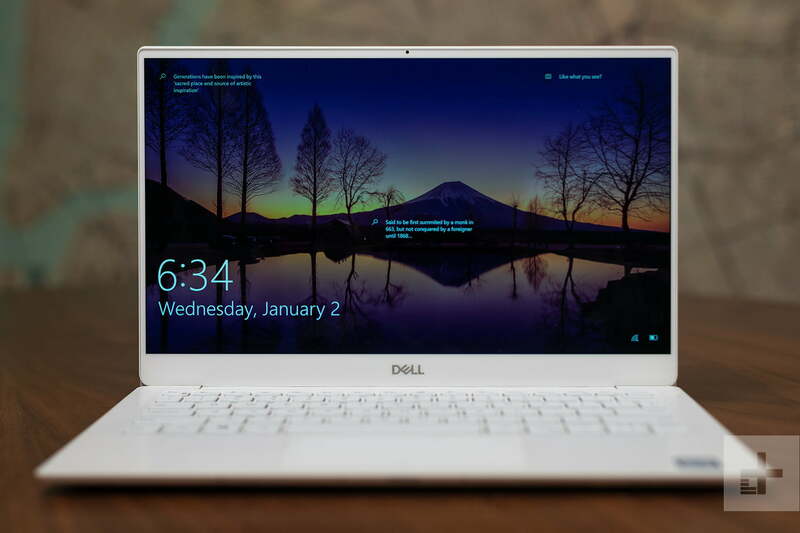 You can buy the XPS 13 with a fast 8th-generation Intel Core i7 CPU and equip it with a choice of Full HD or 4K displays, and you’ll enjoy the excellent design and build quality and the stellar keyboard and touchpad. Why you should buy this: You get all the advantages of a business-class laptop with the flexibility of a pen-enabled 2-in-1. Who’s it for: Anyone who wants to draw and take notes — and relax with a little Netflix on the side. 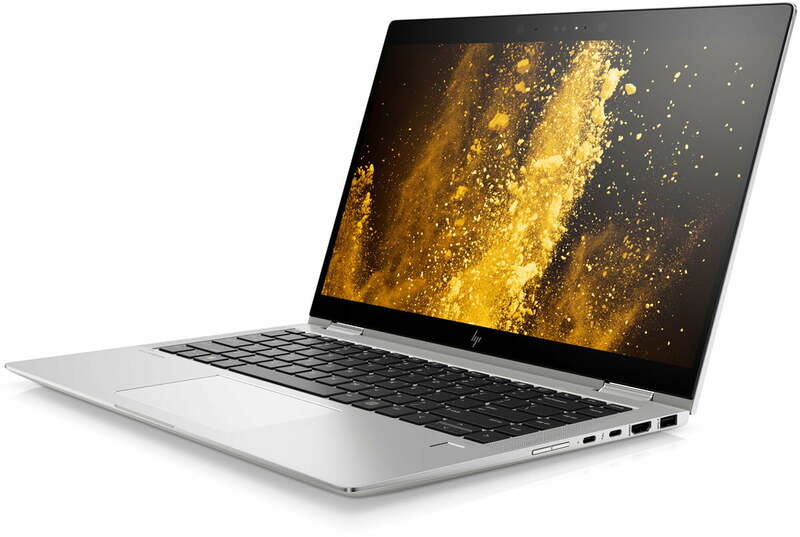 HP makes some of the best 360-degree convertible 2-in-1s you can buy, including our favorite, the Spectre x360 13. But sometimes you need business features that a consumer laptop just can’t provide, such as enhanced security and extra durability. That’s exactly what the EliteBook x360 1040 G5 provides. You get the same 360-degree hinge that lets you flip the display around into tablet mode — perfect for inking with the included HP Active Pen — but with the added confidence afforded by MIL-STD-810G standards testing. Intel vPro support provides for enterprise remote management and security, as does a self-healing BIOS and HP Sure Run to protect from viruses. Then, HP’s Sure View privacy screen lets you keep your information safe from onlookers. Combine that with the option of a superbright Full HD display, the most up-to-date components include 8th-gen Intel Core CPUs, and you have a 2-in-1 that your employer won’t object to put in your next budget. Why you should buy this: It provides most of what you want from a ThinkPad, except the premium price. Who’s it for: Anyone who loves the ThinkPad’s design and business chops but has a limited budget. We named the ThinkPad X1 Extreme as the best overall business laptop, but that’s a pricy option. 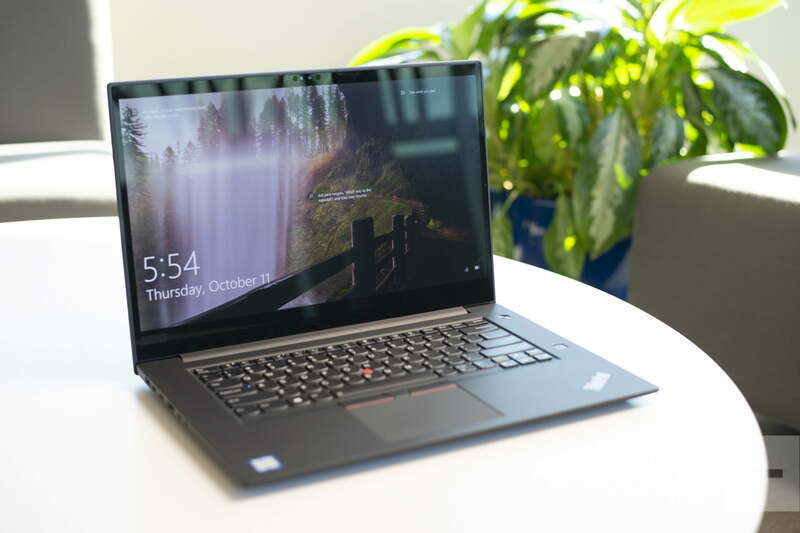 If your budget comes in around $1,000, though, don’t give up hope; The ThinkPad T480 is an option that gives you most of what you love about a ThinkPad without the high price. There’s all the usual ThinkPad design quality and aesthetic right down to the black chassis with red accents and the excellent keyboard, touchpad, and red TrackPoint. You’ll also enjoy the fast 8th-generation Intel CPUs, the full-size Ethernet port for quickly plugging into corporate networks, and solid battery life thanks to a whopping 72 watt-hours of capacity. The ThinkPad T480 is a business-first option that will leave some money left over for other investments. You and your boss will thank us.